If you’ve been charged with a criminal offence, it is understandable to feel worried and frightened about the whole situation, even more so if you are a first-time offender. Dealing with a criminal lawyer is not something most of us are familiar with, it can be confusing to the inexperienced. Before you hire a criminal lawyer, you should do some background checks and select an individual who is best suited to represent you. Contact Details – Before you attend the first meeting, right down a list of your contact details to give to the lawyer. If you are meeting with criminal lawyers in Melbourne, they’ll want to have access to your contact details to stay in touch on a regular basis. It is important to create a list which includes your phone number, email address and other app details which may come in handy. Personal Information – You should write down a short piece about your personal and professional background. Your criminal lawyer will sometimes use this in your defence strategy if they can find parts that help your case. Write down any positive information you have about yourself and hand it over to your lawyer. Documents – Remember to bring any documents you’ve been given about your charges, your lawyer will need to assess them to get a better understanding of your case. Evidence – Aside from bringing all your documents, you should bring other useful items such as pictures or videos which can help your case. For example, if you are facing an assault charge and you’ve managed to get your hands on a film which was made by a witness, bring it along and show your lawyer. Potential Witnesses – You should be patient when you first meet your lawyer, they will read through the police departments case against you to see exactly what they’re facing before hearing your side of the events. You shouldn’t forget that you are hiring a criminal lawyer and paying for representation, so you should ask as many questions as you like to help you better understand your case. Don’t worry if you think one of your question is foolish, it is better to ask than to keep it inside. You should try to find a lawyer you like, it will make the process a lot easier. Here is a list of some sample questions. Do they need any more information to help your case? Have they experience with a case like yours? How long did the case last? How can you avoid damaging your case? What is your worst case scenario? Best case scenario? 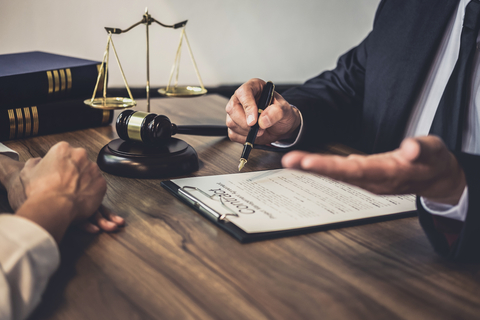 If you find yourself facing a serious criminal charge and you need competent legal representation, do your utmost to secure an experienced lawyer. Use the information provided in this article to prepare yourself for your first meeting. The more information you give your lawyer, the better prepared they will be once your case goes to court.